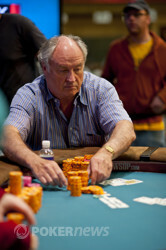 After battling it out behind chip leader Greg Mueller for a long time we just saw Donnacha O'Dea go in fifth place. O'Dea lost a big pot in 2-7 Triple Draw before the break, and right afterwards he played his final hand in Stud against Kevin Calenzo. O'Dea raised it up on third street to 40,000 after which Calenzo made it 80,000. The other players folded after which O'Dea called. On fourth street Calenzo bet 40,000 once more and O'Dea called. Fifth street gave O'Dea the betting lead, but he opted to check again. 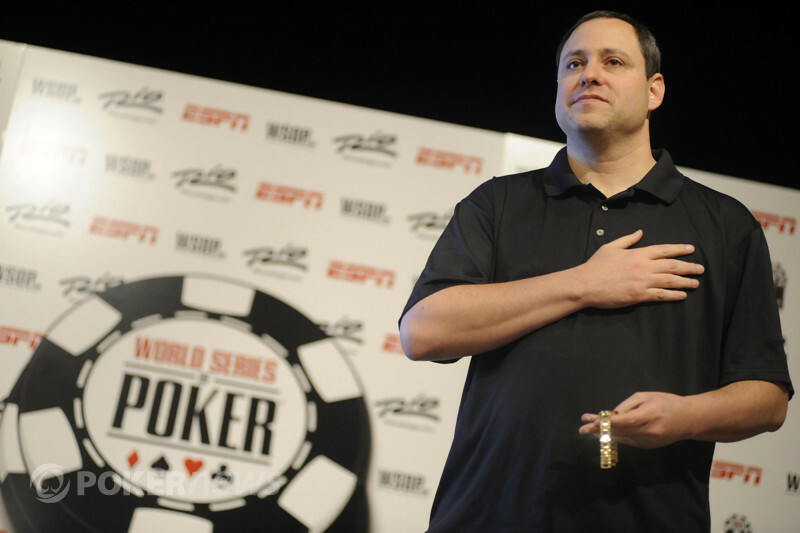 Calenzo fired out 80,000 and O'Dea called with just 40,000 chips left behind. On sixth street O'Dea's check-called his final 40,000 and we got to showdown. We are down to four players.